Indian and Chinese archaeologists are discussing a cultural cooperation project in order to trace the spread of Buddhism from India to China. The Institute of Archaeology under the Chinese Academy of Social Sciences will collaborate with Indian archaeologists at key sites in Sarnath, in northeast India. The project is expected to include excavations, cultural relics protection, and safety monitoring and control. The historical Buddha, Shakyamuni, is believed to have traveled to Sarnath after attaining enlightenment in Bodh Gaya and to have given his first discourse on the Dharma at the deer park there. Sarnath is also believed to be where the Buddha acquired his first disciples, marking the founding of the first Buddhist sangha. Indian archaeologists have been working on excavations in the area since the late 19th century, unearthing numerous Buddhist relics and artifacts; however, many of the discoveries have yet to be fully dated and catalogued. 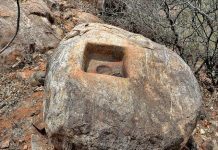 “We are very excited because our archaeologists will be finally able to look for, and may later touch and protect Indian relics that they have only seen in books,” said Wang. 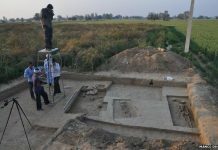 The collaboration between the Institute of Archaeology under the Archaeological Survey of India and the Institute of Archaeology under the Chinese Academy of Social Sciences is expected to begin in November and to continue until 2020, encompassing excavations and the protection of cultural relics, as well as safety monitoring and control. 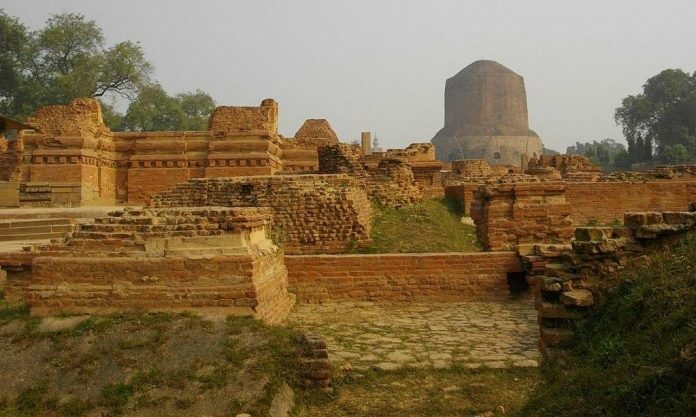 The director explained that during the first millennium, many Chinese scholars and monks traveled to India, including Xuan Zang and Yi Jing, who attended Nalanda University in Bihar, north India. “The relationship between these relics may tell us something new about the spread of Buddhism in China,” said Wang. The project will feature some of the world’s leading archeological technology, including three-dimensional remote sensing and three-dimensional imaging systems, as well as advanced indoor testing and analysis techniques. 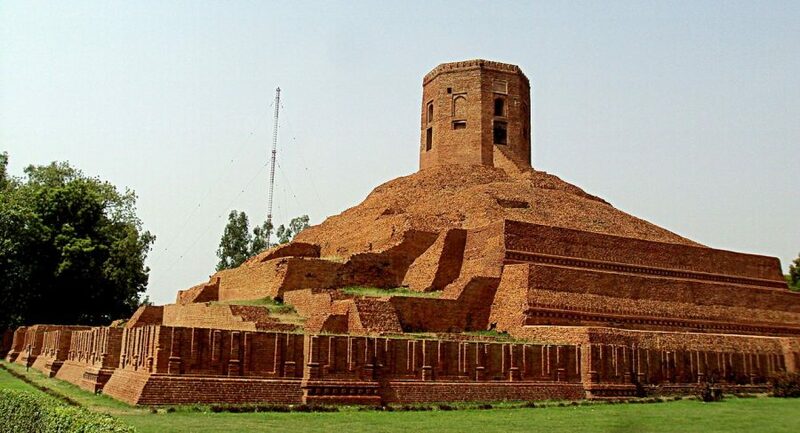 A second project is also being planned, which will focus on artifacts excavated at Rakhigarhi, some 90 miles northwest of New Delhi, the site of what is believed to be the largest known Indus Valley Civilization settlement.